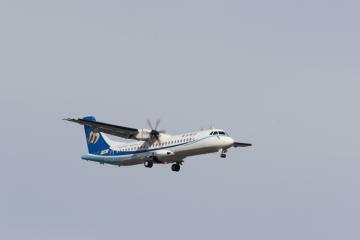 European aircraft manufacturer ATR yesterday delivered the first of the nine ATR 72-600s to Mandarin Airlines. The ATR 72-600 will bring the regional subsidiary of Taiwan’s flag carrier China Airlines the highest standards of comfort alongside unbeatable economics. With the aircraft servicing its domestic routes Mandarin Airlines will benefit from the introduction of the market leading, versatile turboprop, allowing it to offer passengers a modern cabin with affordable prices. The ATR -600 series is a proven route opener, creating on average 100 new routes every year worldwide, and the aircraft will contribute to the expansion of regional connectivity across the island. Besides the contract for the aircraft, ATR is also willing to provide engineering and technical support to China Airlines and its subsidiaries to set-up in-house capabilities for ATR heavy maintenance, up to C-checks.